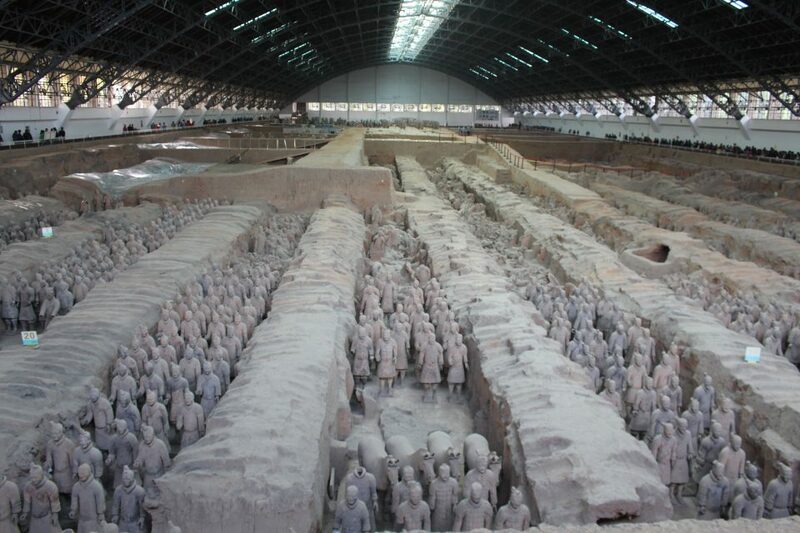 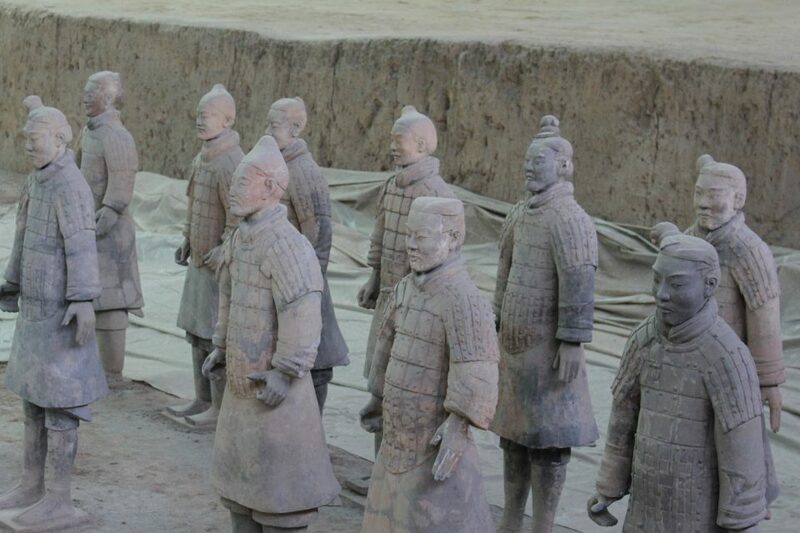 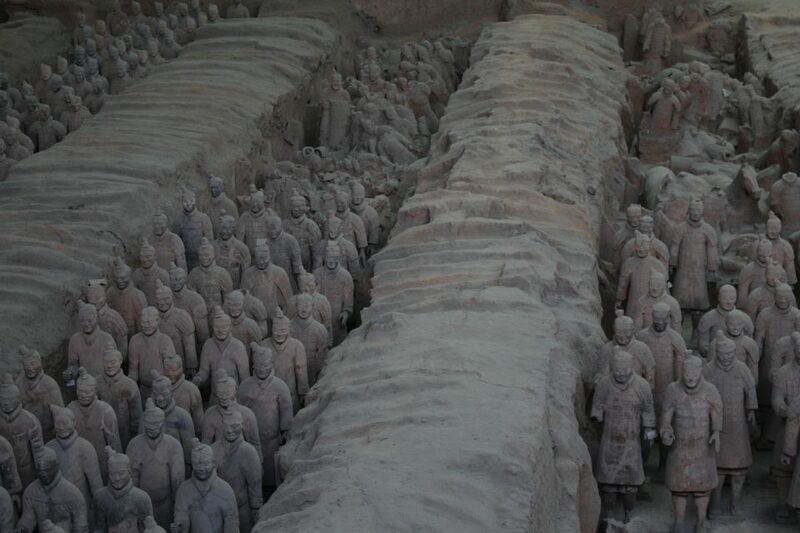 Just a one-hour bus ride from central Xi’an, you can find The Terracotta Army, discovered in 1974 by local farmers. 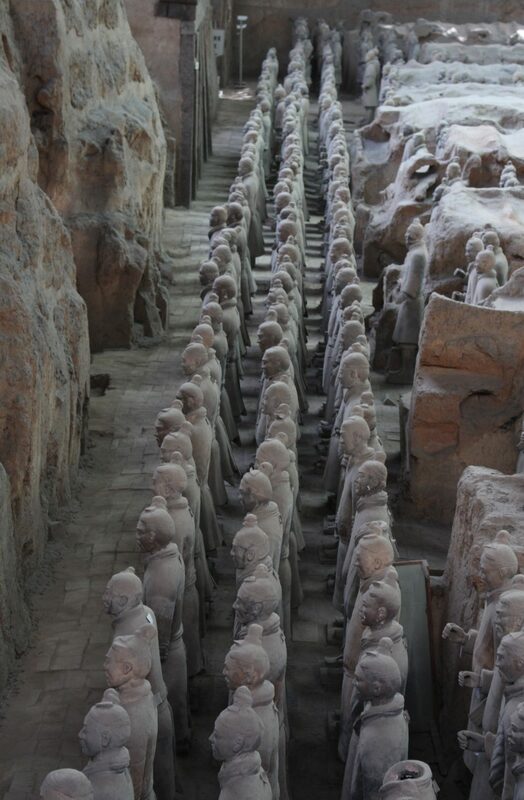 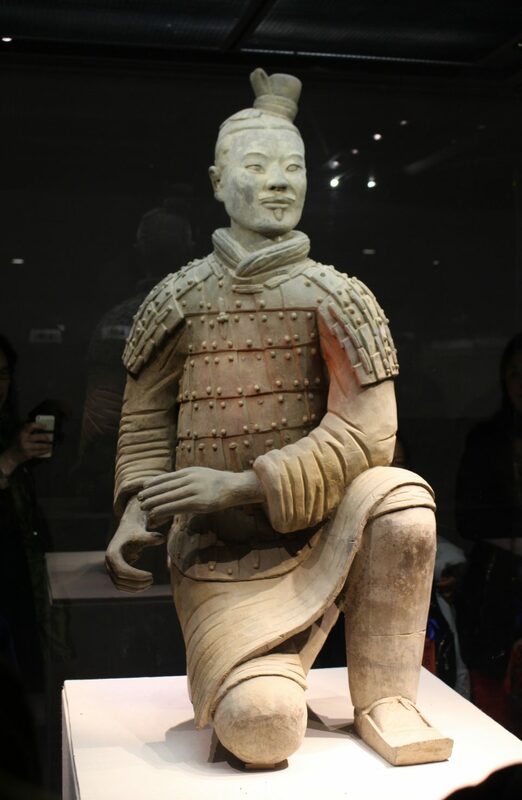 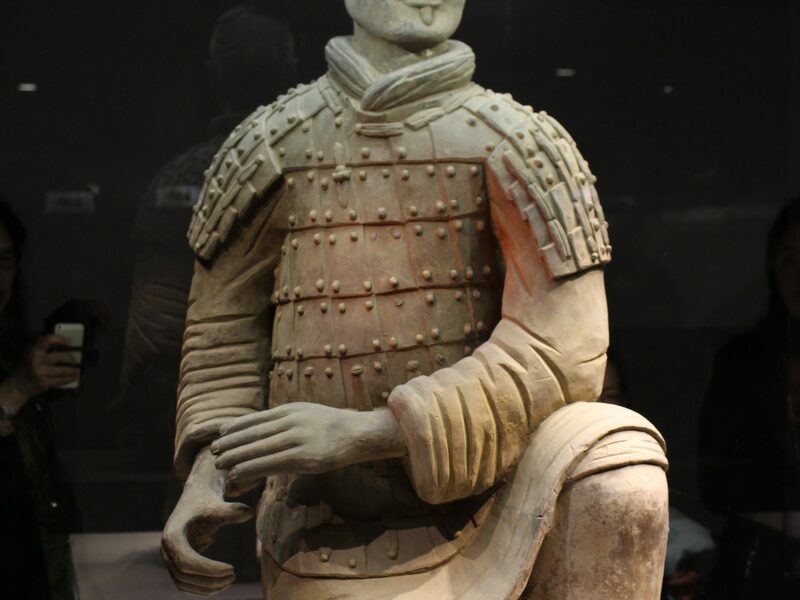 It is a collection of sculptures made to protect Emperor Qin Shi Huang (210 BC) in the afterlife. 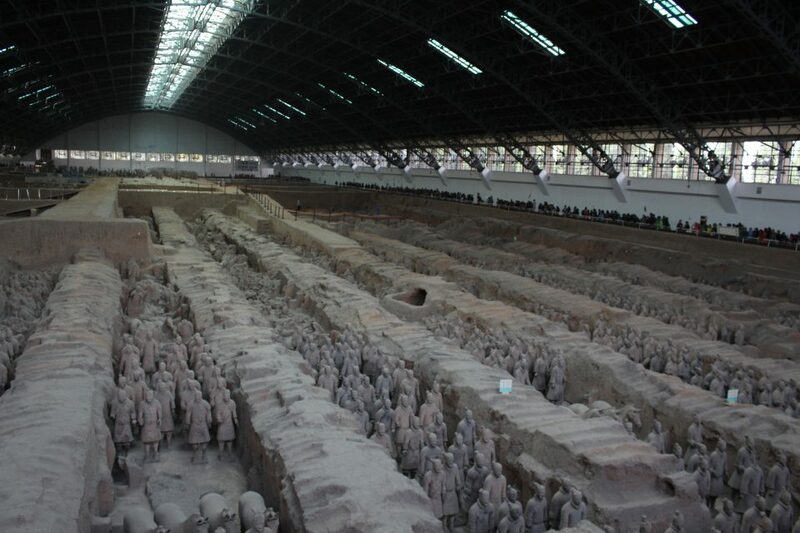 Xi’an considers it the “Eighth Wonder of the Ancient World”! 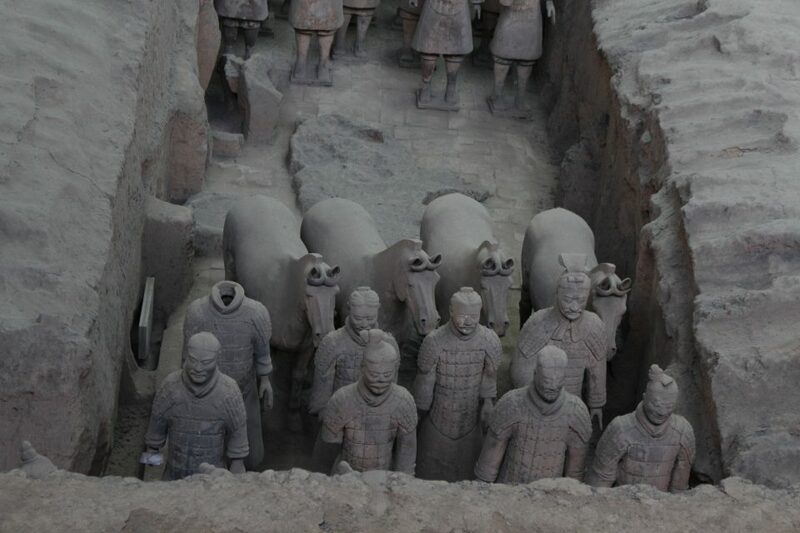 Here you can see some of the detail on the individually crafted soldiers and horses. 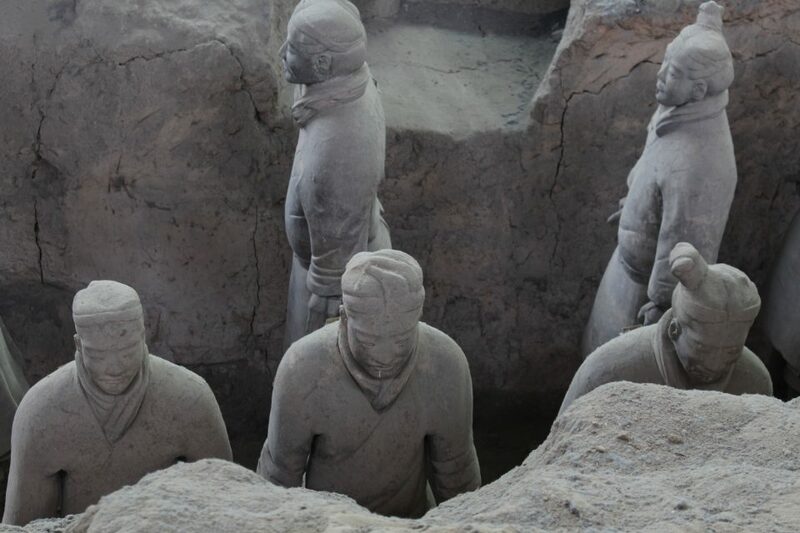 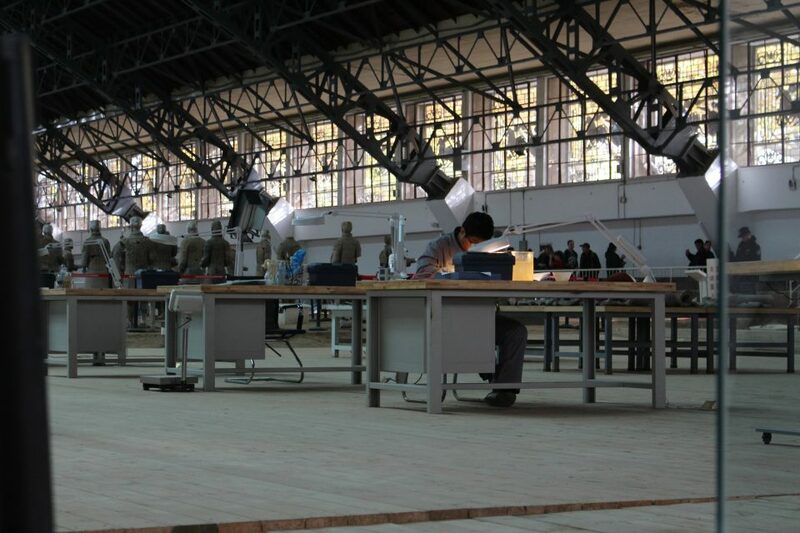 The warriors are actively being excavated and preserved on-site. 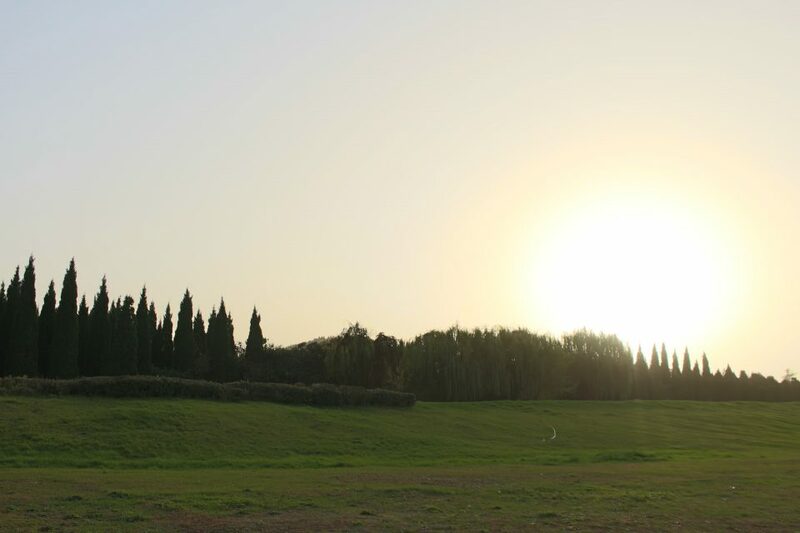 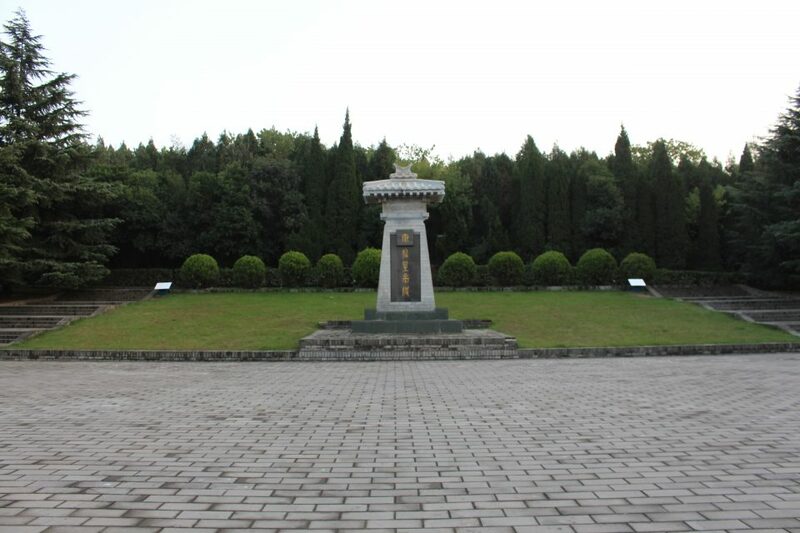 You can also visit the Emperor’s mausoleum nearby. 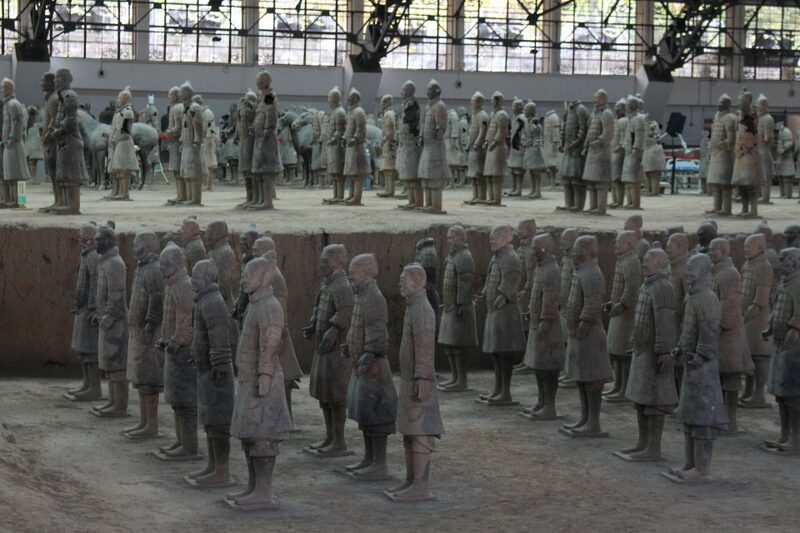 Some terracotta sculptures were also discovered in pits here. 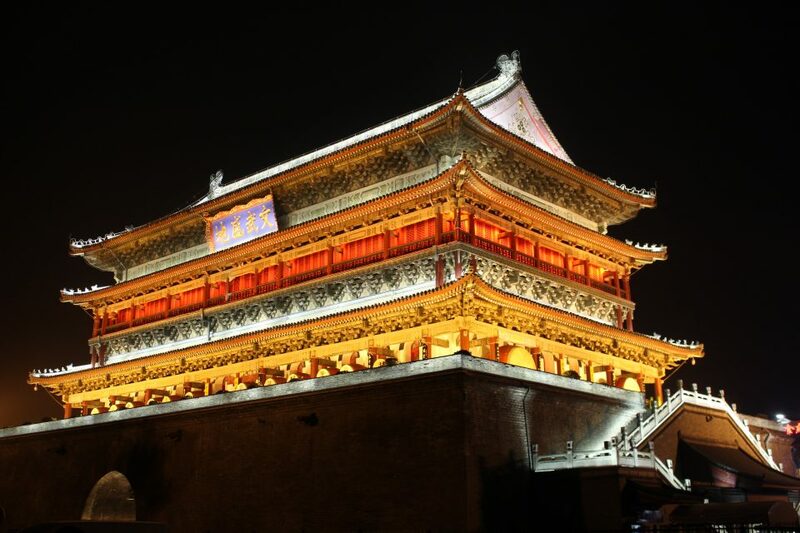 After a bus back to downtown Xi’an, the Drum Tower shines bright!